Millwall [cast from colonial grain boundary] 41°35’32” S 147°07’13” E 145M, Latex moulded polyester resin, soil, sand, fiberglass, epoxy, steel, 2015. Both of these works were installed as part of the Honour’s Group Show in the Student Gallery at the Victorian College of the Arts in August 2015. 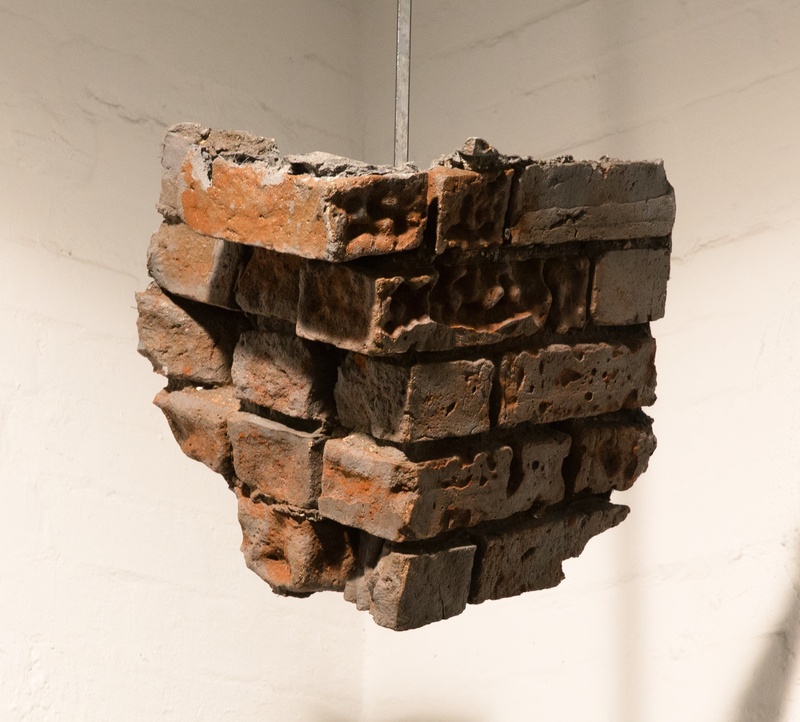 The resin cast of a colonial granary wall from Longford in Tasmania presents a fragment of this eroding structure captured in latex, cast out in resin and suspended in the gallery space. 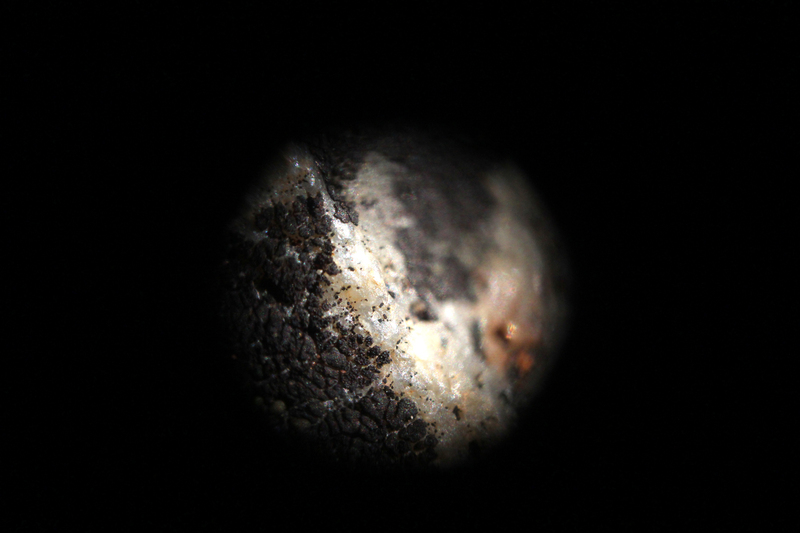 This object was accompanied by a projected microscopic photograph of a location in northern New South Wales, a representation of a landscape without horizon.